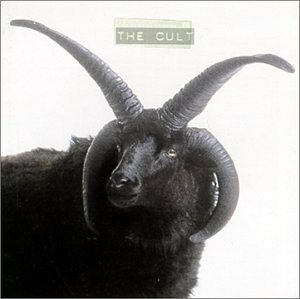 The Cult's sixth and final album before a breakup lasting seven years, The Cult features a collection of mature, sophisticated songs and some of the band's best work. The album is filled with interesting melodies delivered with zest and crunch, the faster tunes rocking with abandon and the slower ones tugging at the right emotional strings. Vocalist Ian Astbury delivers a balanced mix of power, despair and anguish, while Billy Duffy's guitar provides the metallic backdrop and maintains The Cult's trademark sparsity of sound. A foursome for this album, Craig Adams on bass is satisfyingly prominent on several tracks, most notably Naturally High, while Scott Garrett's drums shine unobtrusively and remain true to the band's avoidance of an overbearing wall of noise. The five song sequence at the heart of the album, from Naturally High at track 5 to Be Free at track 9, is a spectacular sequence. Naturally High has a fat bass line that challenges most speakers, and escalates to a soaring chorus delivered passionately by Astbury. Joy is assembled around a hovering keyboards tune bolted onto an aggressive Duffy guitar riff. Star effortlessly drops into an infectious dance groove, Garrett's drums pleasingly to the forefront, setting an in-your-face beat which culminates with a great cow bell. Sacred Life slows down the pace with a touching, melancholy melody chronicling tragic young deaths. The quintet is rounded off with the high energy Be Free, Duffy and Garrett again combining to create a celebratory dance metal tune. Elsewhere on the album Real Grrrl and Saints Are Down further enhance the quality of the music, the latter an appropriately haunting slow ending to the band's pre-breakup era. In the post-grunge, call-it-alt-something confused music scene of 1994, The Cult never found an audience, helping to hasten the band's demise as a viable commercial entity. At least when Astbury and Duffy called it quits, their music and songwriting were on a natural high. Mixed by Mario Caldato. Mastered by George Marino.